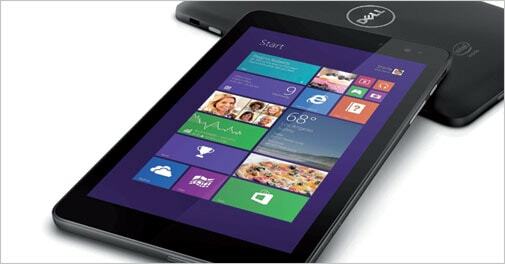 Priced aggressively, the Dell Venue 7 has a nice, sturdy built. It feels much superior to the flimsy budget tablets offered by Indian brands. The popularity of 7-inch tablets has pushed many Indian as well as global players to come up with one. The latest to join this bandwagon is Dell with its Venue 7. Priced aggressively, the Venue 7 has a nice, sturdy built. It feels much superior to the flimsy budget tablets offered by Indian brands. It has a touch display with 1280x800 pixel resolution and good viewing angles. But the display could have been better and less reflective. The innards of this tab feel pure Android. The user interface has been kept simple. It runs on a dual core Intel Atom processor and is paired with 2GB of RAM. The powerful processor helps in the overall performance as I was able to download apps, play heavy graphic games and switch between apps with ease. The web browsing experience was also smooth. The best part about this tablet is the ability to play full HD videos without the need to install any thirdparty media player app, which is usually missing from most tabs. This experience was further enhanced by speakers that offered loud and clear sound output. The tablet packs in a 3MP rear camera that isn't any good. The images are just about average and the battery lasted only about seven hours.